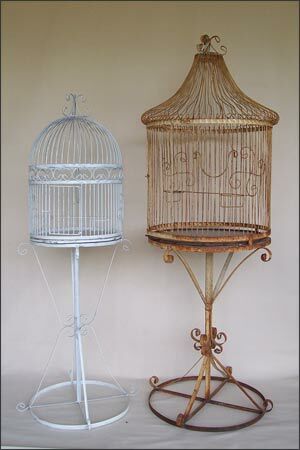 The Character of Vintage Birdcages has Often Influenced Their use in Home Decor as a Home Furnishing, Birds or no Birds. Birdcages Also Have Appeal as Garden Decor, Filled with Greenery and Flowering Plants. Let Innovation Take Control with all that Might be Caged!